If you were on desi social media in the past year, you probably saw the trailer for “Unfair & Ugly,” a sitcom about a Muslim-American family from Orange County, California. The prospect of a show revolving around a modern and relateable Muslim family was exciting. Aasif Mandvi’s “Halal in the Family” was good but short-lived. With only six episodes, the show wasn’t the “Muslim Modern Family” we were hoping for. However, the viral “Unfair & Ugly” trailer was enough to get us excited. BGM had to get to the bottom of it! “Unfair & Ugly” is the brainchild of Yumna Khan and Nida Chowdhry. Together, they co-founded and run Stranger Magic, a production company which aims to tell “diverse, high-quality stories that capture the magic of everyday people around us.” Both ladies are natives of Orange County. 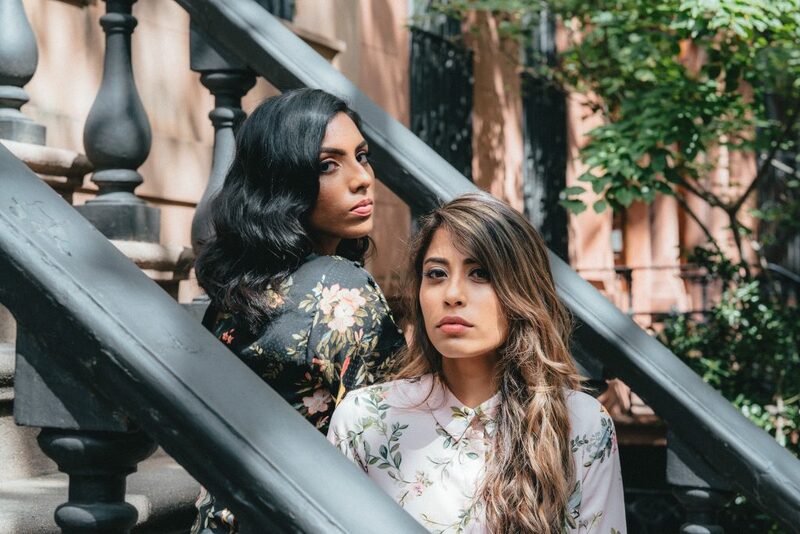 Yumna, 24, is Indian-American, while Nida, 31, is Pakistani-American. 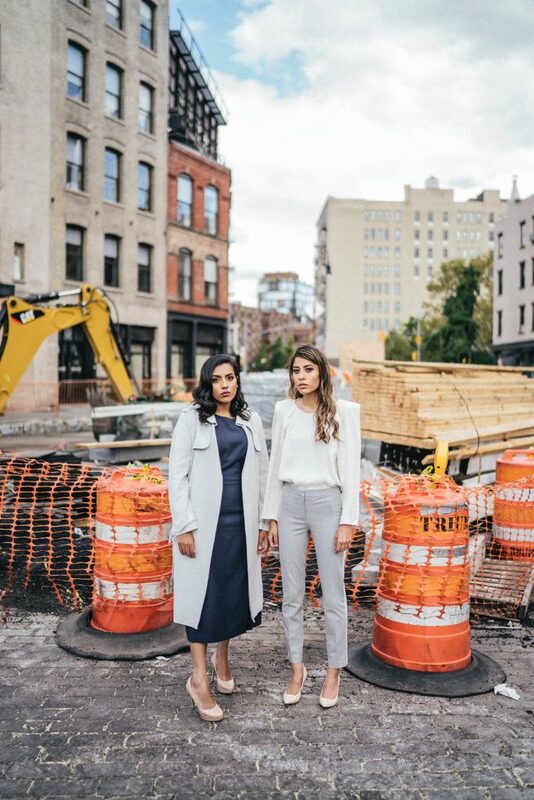 Though they come from different backgrounds, Yumna and Nida have built up a budding empire. 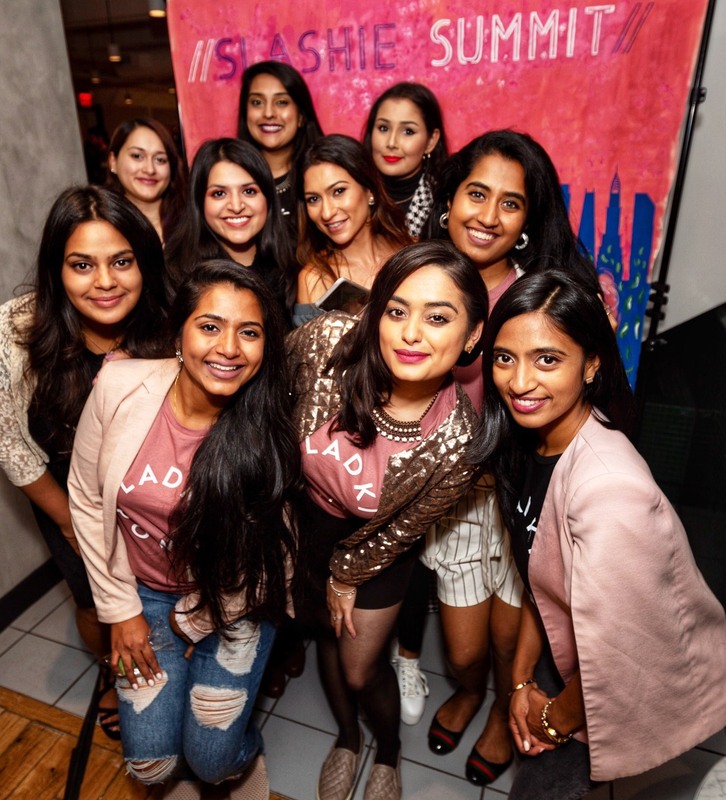 Their meteoric rise and the intense appeal of “Unfair & Ugly” is extremely amazing.We recently sat down with the ladies after their successful screening of episodes five and six in New York City to learn more about the show and their influences. When did you realize you wanted to make ‘Unfair & Ugly’? Was it a spur of the moment idea? Did it take a lot of time to realize you wanted a show like this? Nida: A few years ago, I was watching “Arrested Development” and thought, ‘I want to see a show like this about Brown people, where they’re flawed but lovable.’ When Yumna and I were deciding what to create next, we knew it had to be this show. Yumna: Nida told me about her idea for this show, which we called “South Asian Arrested Development” until we came up with our title “Unfair & Ugly.” We worked together to create the Unfair & Ugly universe. Did any part of your life impact what we see on the show? Are there any scenes which reflected a real-life event? Y: Both Nida and I were raised in Orange County so we’ve come across these characters throughout our lives. I can definitely relate to Sana’s struggles with post-graduation life. No one really talks about life after college, so we wanted to tell that story so that people feel less alone in that experience. N: Our show is about the things we don’t really talk about in real life. I grew up seeing people suffer in their mental health, or have family issues, but it was taboo to label it. Y: We filmed our series in July 2017 over a ten-day-shoot, which is really fast for filming 100 pages of script! N: From beginning to end, it took us a year and a half. It was a tight timeline, but we really wanted to get our show out as soon as possible, because we’ve already waited too long for a show like this. There are a lot of sitcoms, shows, and dramas about families and family dynamics. What makes “Unfair & Ugly” different from all the rest? N: I think our show has a unique sense of humour, and it’s very honest. Y: “Unfair & Ugly” is raw, real, and relatable. We’re not afraid to show that our characters have uncomfortable flaws, and we’re okay with having our audience being uncomfortable sometimes. We see that the show touches upon issues concerning race, identity, religion and belonging. Why did you choose to convey those particular issues? What impact do you want to see from “Unfair & Ugly” speaking on these issues? N: We wanted to show a brown family that is navigating their own racism. There’s a real fear of admitting that we have internalized racism, and it makes addressing racism in our settings (family, work, etc.) even harder. Many of us grew up among blatant colourism and anti-black racism. Y: We hope people will see things like Sana dealing with depression through therapy, and the parents and kids struggling to communicate, and feel a sense of relief and hope. It’s so important to see ourselves on screen. The cast appears extremely diverse and talented. Was it hard to find people of color (POC) and Muslims to fill the roles? How did you guys know who to take on for the various roles on the show? N: There is so much incredible POC talent out there, but such few opportunities. It’s that whole, “how can I gain work experience if I don’t get hired?” thing. We felt really lucky to create those opportunities. Y: We had over 40 speaking roles for POC on our show! And three out of five of our lead characters are women. That was purposeful. It was important to Nida and me to have female leads in our show. Did other aspects of the filming, producing, and post-production process incorporate POC? N: 100% of our lead production team were women-of-color, and 80% of our crew were POC. Our show was created, produced, written, and directed by two women-of-color. Y: Nida and I believe in creating opportunities for our POC community. I learned early on that it’s harder for us to hold positions especially in the above the line crew. At Stranger Magic, we hope we can create experiences for people who usually don’t get that chance. A lot of our staffers felt a deep connection with many of the characters. Even for me, it felt like a jolt of energy went through me when I first watched the trailer. Can we expect a second season or an expansion of the show? Maybe a Netflix special in the near future? N: There’s so much we want to create, and we’re excited and hopeful about making that happen! Where can our readers watch the show? Y: “Unfair & Ugly” is now streaming on Youtube! Our series finale aired on May 9th and we celebrated with a huge NYC series finale premiere, but you can still catch all the episodes! N: This is really cheesy, but we both really love Brown Girl Magazine. We didn’t grow up with the increasing diversity of media that we have now. It’s so cool to be able to just scroll through it now. Y: We hope BG readers will help spread the word about “Unfair & Ugly.” Each view makes a difference in supporting media representation for people-of-color! 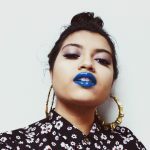 Marina Ali is a student, writer, poet, and blue lipstick enthusiast. She is assistant marketing manager and poetry editor for Brown Girl Magazine and the features editor for Drunk Magazine. When she’s not writing or studying for classes, you can find her picnicking in pastoral East Texas, crafting for her sorority sisters, or making food.